It is estimated that 94% of humanitarian funding, globally, is spent on in-kind aid, predominantly food but also other goods such as shelter and health supplies. 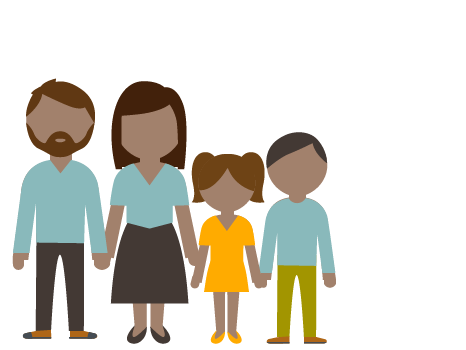 However, there is significant evidence that in-kind aid often does not satisfy families’ needs, not least because different families have different needs. In a 2015 survey by the World Humanitarian Council, recipients of humanitarian assistance in five countries in the Middle East were asked to rate how well aid agencies met their priority needs out of a maximum score of 10. The average score was just 3 out of 10, ranging from 2.3 in Yemen up to 4.6 in Palestine. 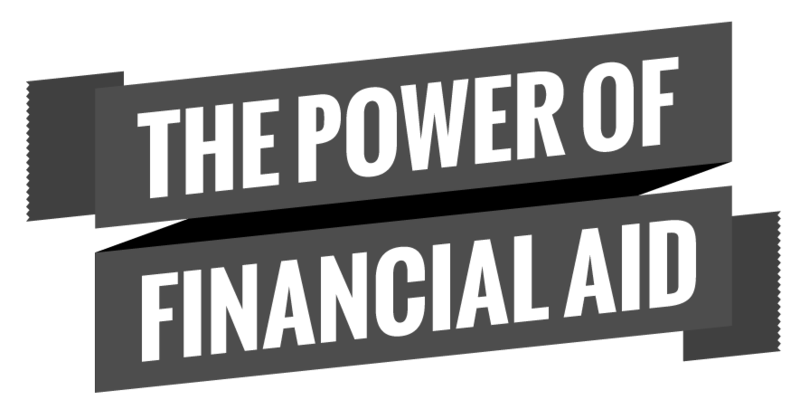 The survey report noted about the interviewees that “the call for giving people a choice (via unconditional financial assistance) was resounding”. In some situations, families sell some of the in-kind aid, often at a discount, to buy what they really need, as discussed below. The mismatch between supply and demand for some humanitarian aid is reflected in the high proportion of in-kind aid that is sometimes sold by beneficiaries, either because it is inappropriate or surplus to requirements. Nearly always, the aid is sold at a substantial discount to its true value, reducing its potential impact. In Iraq, 68% of Syrian refugees who received a food parcel reported selling all or part of it. Those that sold the food sold at least 50% of each item, on average, including 66% of the rice. At camps in Rwanda for refuges from the DRC, nearly all the households (89%) sold all or part of their food allotments and at a substantial discount: on average, maize was sold at 57% of its local retail price and cooking oil at 81% of its value. Overall, one-fifth of the value of food aid distributed was sold. The re-sale problem can also affect vouchers if the vouchers restrict beneficiaries to a particular good. In the DRC, between 7% and 53% of households in different refugee camps sold their vouchers. It was reported that beneficiaries were able to sell their vouchers at 55-75% of their face value, significantly reducing the amount of money they had left to spend on essential items. In a survey of more than 1,300 aid recipients in Lebanon, about 80% preferred money over in-kind aid and less than 5% wanted in-kind aid, with 15% preferring a combination of the two. The authors of the survey report suggest that a small proportion of people might have preferred in-kind aid because it safeguarded them against inflation that would have eroded the purchasing power of money. This has been substantiated by other studies that have found that in-kind aid tends to be favoured by recipients in situations with high and volatile prices. It is also important to note that financial aid only works if local markets are functioning. In the vast majority of humanitarian crises, markets respond quickly and effectively. Standard economic theory predicts that cash is the first-best option, relative to in-kind transfers, as it is more “utility-maximizing”. In other words, people spend money on what matters most to them. As families’ needs differ, giving them all the same thing doesn’t optimise their utility, but money can, assuming markets are working effectively, as it allows families to choose what they need. Although financial aid enables families to buy what they need, it cannot compensate for the lack of services that should normally be provided by governments, such as quality education and health services. Consequently, it normally needs to be accompanied by broader assistance. Nutritional advantages: Unconditional cash transfers have been found to be more effective for increasing dietary diversity and the quality of food consumed. For example, the dietary diversity of households in Malawi increased by 24% for households receiving cash and by 12% for those receiving a cash and food transfer, while the change for those receiving just food aid was not statistically significant. However, food aid has been found to be more effective for increasing calorific intake. A study in Niger’s region of Maradi indicated that combining food and cash transfers reduced the incidence of malnutrition at about twice the rate of either a cash transfer or supplementary food on their own. Health benefits: In Malawi, between 2007 and 2008, illness reduced by 23% among children participating in the Mchinji unconditional cash transfer programme, versus 12.5% among non-participants. In Mexico, children aged 0–2 years who were enrolled in the PROGRESA conditional cash transfer programme had 4.7 percentage points less incidence of illness than children in comparable families who were not enrolled. Education gains: Numerous studies have found that financial aid can increase children’s attendance at school, although this does not necessarily lead to improved learning. In Cambodia, a study of a programme involving modest transfers conditional on school enrolment of children of middle-school age found that recipients were over 20% more likely to be enrolled in school and 10% less likely to work for pay. Increased savings: Financial aid gives households the opportunity to save some of the money for future shocks and for their families’ education, health or small business. This can reduce their need for further assistance. Not all financial aid initiatives lead to savings but evidence from social safety programmes shows that if often does happen.For instance, Kenya’s Give Directly programme doubled cash savings balances while the Women’s Income Generating Support (WINGS) project in Uganda roughly tripled savings levels among both men and women. For Zambia’s unconditional Child Grant Programme, the average saving rate increased 10 percentage points after three years, which represents a 100 per cent increase over baseline, and the average amount saved by women increased by 300 per cent.Another study that compared money and vouchers in the DRC found that 9% pf households receiving money saved part of it, compared to 1% of those receiving vouchers, and they saved significantly more. Resilience to future shocks: By providing regular payments of about $12 per month to poor rural households unconditionally and prior to weather shocks, the Zambian Child Grant Programme enabled the families to employ coping strategies such as saving money to deal with future shocks. Despite experiencing droughts, floods, and sharp fluctuations in food and crop prices in the year after the program started, households receiving the money were able to increase their food consumption by 29-35%, relative to a control group. They were also 14 percentage points less likely to say they coped with a shock by reducing food consumption.Other studies have also found that financial aid reduces the likelihood of families resorting to negative coping strategies in crises, such as dietary restriction, child labour and dangerous work. Reduced poverty: A trial in Vietnam in 2006 gave one-off handouts to 550 households; two years later, local poverty rates had fallen by 25 percentage points (from 65.1% to 40.2% in 2008). In Mexico, it is estimated that the Progresa/ Oportunidades programme, which is a long-term financial social assistance initiative reaching nearly 8 million people, has reduced the poverty gap by approximately 20% (from 8.5% to 6.8%). The Child Support Grant in South Africa has closed the poverty gap by 47%. A World Bank analysis of 30 studies of cash transfer programmes found very little evidence of families spending financial aid on so-called temptation goods such as cigarettes and alcohol. In fact, the opposite was often the case, with families reducing their consumption of these goods. A study in Liberia tested the ‘temptation goods’ theory at a more extreme level by giving 999 high-risk, young men with a history of crime and drug abuse $200 each. Surprisingly, only 4% of the money went on temptation goods. About half the money went on food, rent and business investments and about a fifth on savings and debt repayments. Similarly, in Canada, a journalist with the Toronto Star gave beggars prepaid cards worth $50. Most bought food, some phone minutes and clothes, and only a few purchased alcohol.